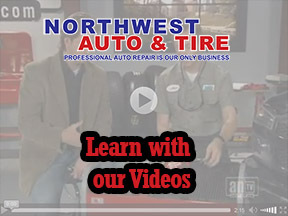 NorthWest Auto & Tire has been a leader in the automotive repair business since 1975. So if you’re looking for a good auto mechanic give us a call. We think you will be more than satisfied. 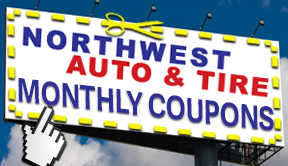 Northwest Auto & Tire is one of the few shops that still offers “Full Service“. Our Services range from lube, oil and filter work for just $34.95. Of course we are also able to diagnose today’s complex computer-controlled vehicles. We also specialize in emission control systems. We know that you can take your car just about anywhere for repair. But we believe that Northwest Auto & Tire is better equipped to service your car than anywhere else. Our technicians participate in the most current training available. And we have the latest equipment available to properly diagnose and repair your car. 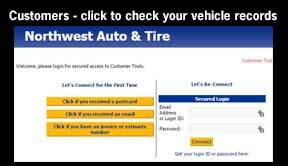 I believe that the level of service we offer at Northwest Auto & Tire has been the key to our success. 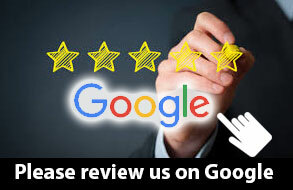 Great service is what has kept our customers coming back year after year. I invite you to try it for yourself. I think you will find that when we say “Our Service Will Amaze You”, we really mean it! We know it is a hassle to get your car repaired. That is why we offer While-You-Wait Service for many of the routine services you may need, like Oil Changes, Tire Rotations, Transmission Services, Coolant Flushes, etc. We offer free coffee and home made cookies to make your wait more pleasant. We also offer free WiFi so you can check your email, or catch up on Facebook while your car is being serviced. If you need a ride, we offer door to door transportation to and from your home or place of work free of charge. If your vehicle should require an extended stay, we are able to offer an Enterprise-Rent-a-Car at a special discounted price. It’s easy, Enterprise will bring the car right to the shop and pick you up, and when you are finished with it you can just leave it in our parking lot. We also offer Online Scheduling, so you can schedule your next appointment online, anytime, day or night. 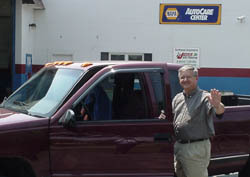 NorthWest Auto & Tire is a very modern and efficient facility, equipped with the latest tools and equipment available. We also have a very well trained and knowledgeable staff that keeps their skills up by attending seminars covering the latest repair and diagnostic procedures. This ensures that your vehicle is being serviced by trained professionals that know what they are doing. This will save you money! Our office at NorthWest Auto & Tire is equipped with the latest software that not only tracks past repairs, but also keeps customers informed of future needed services to keep their vehicles warranty in effect. We also subscribe to all the car makers Technical Service Bulletins. This ensures that when your car needs service, the technicians have access to the very latest information available. And you can always go online and check your vehicle records to see what you have had done in the past.